The last day of Banstead Buses. 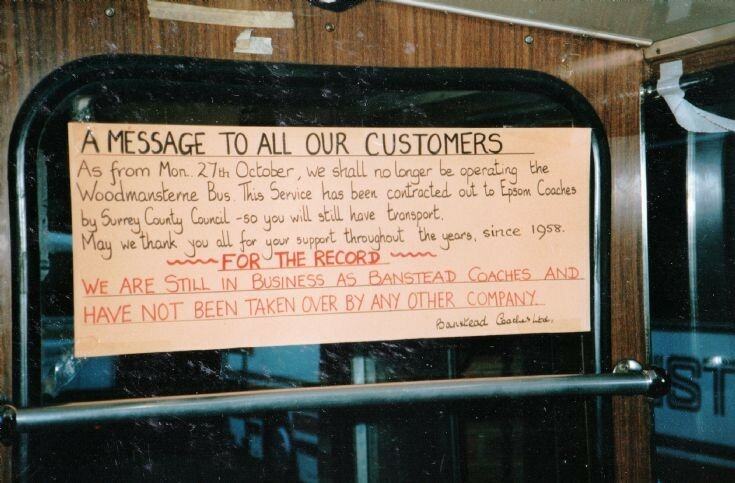 When bus deregulation happened in 1986 Banstead Coaches decided to retire the service which from Monday 27 October 1986 was contracted out to Epsom Coaches by Surrey County Council. Photograph from the 1986 Adventure Club logbook edited by the late John Clifford.